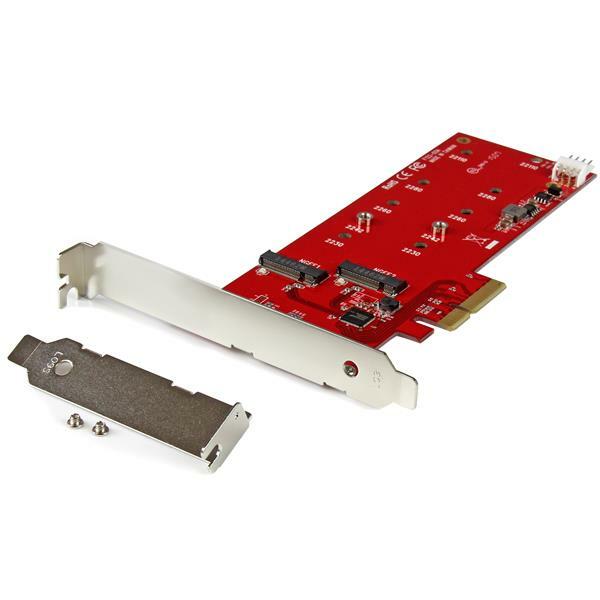 This M.2 SSD controller card lets you install two M.2 SATA solid-state drives (SSD) into your PC through PCI Express. You can mount virtually any M.2 drive directly to the card, giving you a convenient and discreet way to improve your computer system performance. Plus, the card is a vital computer add-on if you need to recover data from an existing M.2 drive, or for expanding your overall internal storage. This M.2 controller card lets you take full advantage of the performance and size benefits of NGFF (Next Generation Form Factor) SSDs. M.2 drives are smaller than typical platter drives or mSATA-based SSDs, so you can install them in tighter areas within your computer case. By freeing up space within your computer, you’ll also have more room for additional hardware upgrades. When you couple the card with an M.2 drive, you can give your computer’s performance a noticeable speed boost, enabling you to replace your platter drive with a faster M.2 SATA III (6Gbps) solid-state drive. By installing your operating system on the M.2 drive, you'll have faster access to the files you commonly use, and you can continue to use your higher-capacity platter HDD for bulk storage. Due to their performance and size advantages, M.2 drives are commonly used in laptops. If your laptop has failed but its M.2 drive is functional, then this card can help with data recovery. Once the M.2 drive is installed and the data recovery is complete, you can continue to use the drive for storage and backup purposes. You can also rest assured that your M.2 SATA drives are compatible with the card. It supports the most common drive sizes, including 22110, 2280, 2260, 2242 and 2230. The M.2 controller provides additional installation flexibility with a dual-profile design that fits standard or low-profile cases, so it’s the perfect solution for small form-factor or full-sized computers. 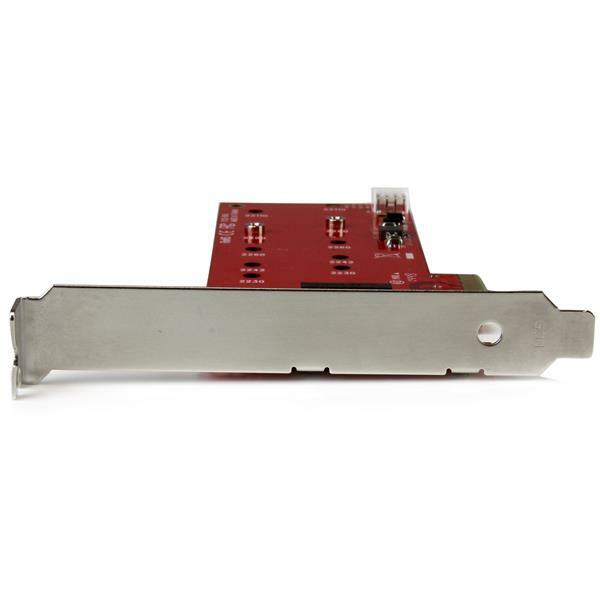 This M.2 SSD controller card is easy to install, with native OS support and no additional drivers or software required. The PEX2M2 is backed by a StarTech.com 2-year warranty and free lifetime technical support. Note The maximum throughput of this card is limited by the bus interface. If used with PCI Express Gen 1.0 enabled computers, the max throughput is 2.5Gbps per lane. If used with PCI Express Gen 2.0 enabled computers, the max throughput is 5Gbps per lane. Does this device support SAS drives? 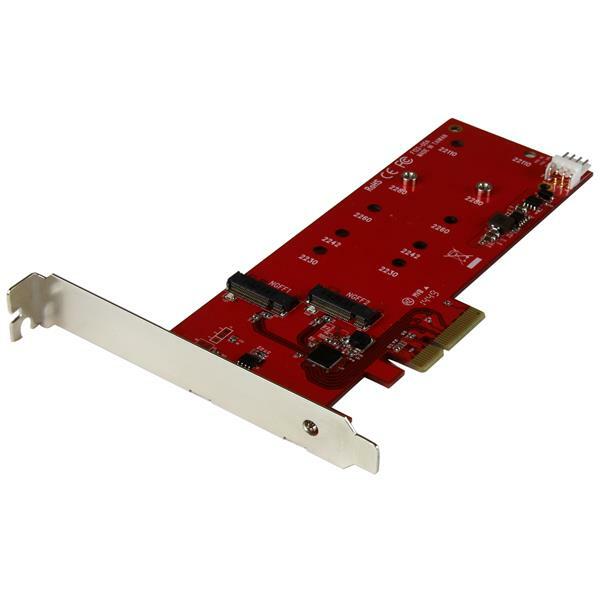 Although you can adapt a Serial Attached SCSI (SAS) drive to connect to a standard SATA controller card, the card must support SAS commands in order to communicate with SAS drives. SAS drives have a different command set that is not present on SATA controllers. 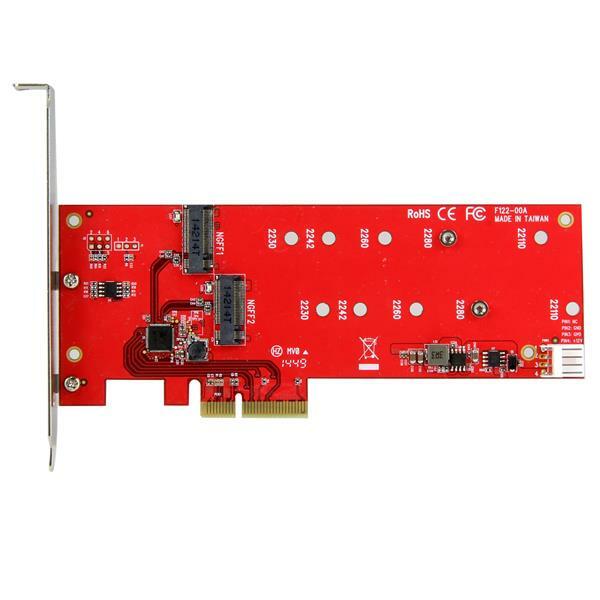 This SATA controller card only supports standard SATA drives. Will this device work with optical drives such as CD-ROM drives, DVD-ROM drives, and Blu-ray players? This device does not support the ATA Packet Interface (ATAPI) protocol. ATAPI is required for optical drives, including CD-ROM drives, DVD-ROM drives, and Blu-ray players. Because this device does not support ATAPI, optical drives are also not supported over any IDE, SATA, or eSATA connections. For a list of products that do support ATAPI, refer to the following FAQ: https://www.startech.com/faq/hard_drive_controllers_atapi_support.